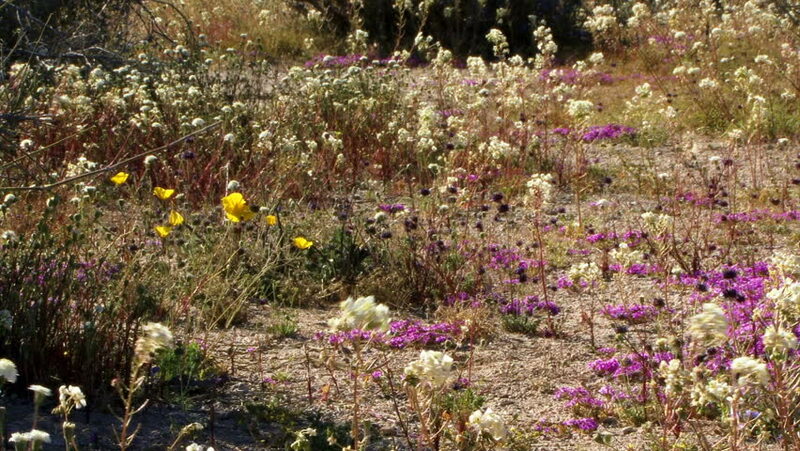 Purple, white and yellow wildflowers bloom in a California desert. hd00:30Purple and yellow wildflowers bloom in a California desert. hd00:30A field of lavender wildflowers blows in a breeze. hd00:36Delicate purple and white wildflowers on a desert floor. 4k00:08A medium shot of a purple flower on a field of grass.